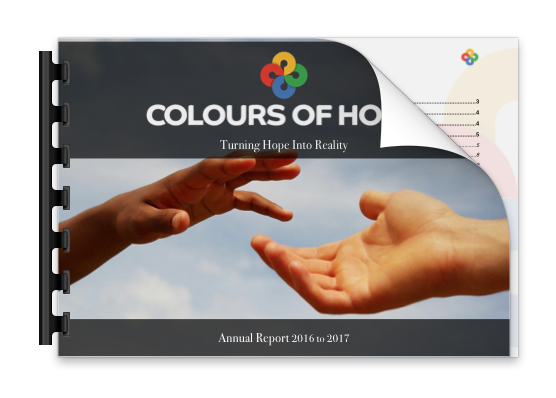 Colours of Hope is a registered non-profit aid organisation. We work on a variety of projects with reliable, trustworthy organisations in ensuring delivery to worthy recipients. We respond to the needs of the less fortunate and try to make a difference spiritually, morally, financially and physically. 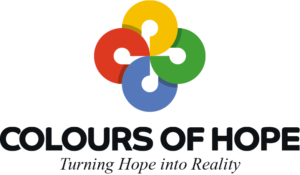 It is our mission to make life a little better for those in need by doing the best we can, turning hope into reality. Download our latest reports by clicking on the buttons below.